MANILA, Philippines — Pangilinan-led Philex Mining Corp. is proceeding with its $2-billion Silangan copper and gold project via the underground method. In a regulatory filing, Philex said it would launch Silangan in four phases with the Boyongan set to commence maiden operations by 2022. Definitive feasibility studies are underway and are expected to be completed in May this year. “For now, mineral resource estimates are indicative of large high-grade gold and copper deposits within tenement scopes. In terms of methodology, Philex is planning an infrastructure design to employ underground sub-level cave mining for ore extraction,” Philex president and CEO Eulalio Austin Jr. said. “We are currently working on securing all requisite permits and approvals to operate Silangan. We look forward to realizing the massive potential of a project of this magnitude,” he added. The Silangan mine, situated in Surigao Del Norte, is considered one of three big-ticket projects seen to catapult the country to become a major copper producer. Silangan’s tenements consist of three deposit areas – Boyongan, Bayugo and Kalayaan, with the latter representing a joint venture with Manila Mining Corp.
For Kalayaan, Philex holds the option to further increase its stake up to 60 percent in the project. Since last year, Philex has been studying the viability of the project with the removal of the open pit method in the picture as the government has yet to decide on whether it will keep the ban or not. 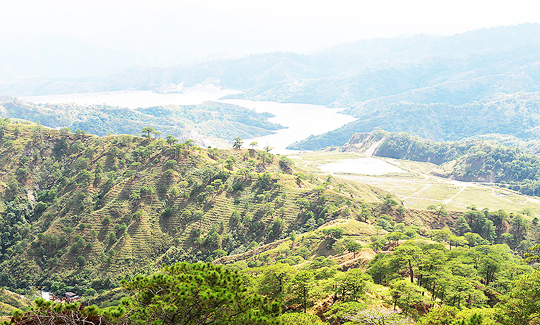 The Silangan project is seen to replace the Padcal copper-gold mine in Benguet whose mine life is expected to end by December 2022. Philex has invested over P13 billion for the initial exploration and related works on the site as of the end of 2014, on top of the estimated project cost of about $1.2 billion. The Silangan project is estimated to generate P170 billion in revenues, P31 billion in national and local taxes and at least 8,000 employment opportunities in the first 10 years of operation. Silangan is also expected to spend P6 billion over the same period for social development and infrastructure programs that will benefit Mindanao. Philex Mining Corp. said it paid P1.386 billion to increase its stake in oil and gas firm PXP Energy Corp.“Further to our previous disclosure last 27 December 2018, please be informed that Philex Mining Corp. paid today the amount of P1,386,450,000 in relation to its subscription payable to PXP Energy Corp.,” Philex Mining said in a disclosure to the stock exchange.PXP Energy confirmed the receipt of the payment in a separate disclosure.Philex earlier paid a 25-percent downpayment or P770.25 million as a part of its subscription agreement involving 260 million common shares of PXP Energy at P11.85 per share, or for a total of P3.081 billion.The remaining balance of P925 million will be paid from the date of the “call” by the PXP Energy board which was not yet disclosed.Philex owned 19.76 percent of PXP prior to the new subscription. This will increase to 25.91 percent upon completion.Dennison Holdings Corp. led by businessman Dennis Uy last month paid out an initial downpayment of P40.29 million for the subscription of its shares in PXP Energy with the full payment due by March 31.Dennison agreed on Oct. 26 agreed to subscribe to 340 million common shares in PXP Energy at an anaggregate subscription price of P4.03 billion. 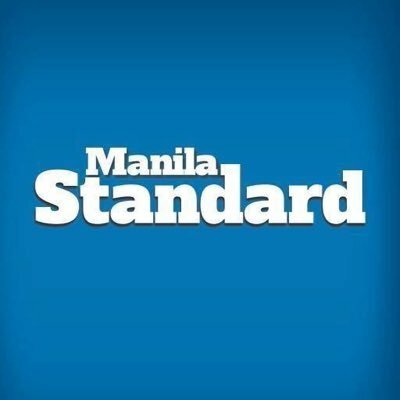 Dennison will have a total ownership interest in PXP of 14.78 percent once the deal was sealed.Total subscription of both Dennison and Philex in PXP Energy reached P7.11 billion which the oil and gas firm plans to use to fund exploration projects.“PXP intends to use the proceeds it expects to raise from the private placement to Dennison and Philex to fund its exploration activities and other oil assets within the Philippines and in Peru, and to repay its advances from Philex,” the company said earlier.PXP Energy is an upstream oil and gas company incorporated in the Philippines whose shares are listed on the Philippine Stock Exchange. The company directly and indirectly owns oil and gas exploration and production assets in the Philippines and other countries.PXP, through Forum Energy Ltd., a 78.98-percent owned subsidiary, is waiting for the guidance from the government on any future activity in Service Contract 72 (Recto Bank) and SC 75 (Northwest Palawan). Both service contracts are under force majeure amid the territorial dispute over the West Philippine Sea. Mining has always been a business full of risks. A mine may not yield enough resources to maintain a business, malpractice and carelessness can lead to mines collapsing or causing landslides and accidents. And one of the biggest impacts the mining industry has had on the country is on the environment. For the longest of times, indigenous and environmental groups have pushed strongly for a change in the way mining corporations run their business. It wasn’t until around 2016 that real changes have started happening both from the government’s stance on the issue and from the mining companies themselves, and early 2018 saw the mining industry making promises to adhere to more responsible and environmentally safe mining.This is important not just to the environment but to the economy. The Philippines is the world’s biggest supplier of nickel ore, copper and gold. Safe and responsible mining will not only ensure the survival of nature but of the business itself. For irresponsible and destructive mining will only lead to self-sabotage. Responsible mining benefits everyone in the long run.During the 65th Annual Mine Safety and Environment Conference by the Philippine Mine Safety and Environment Association (PMSEA) late November of 2018, PMSEA president Walter Brown expressed the Association’s goals to increase efforts in creating a better and more environmental mining industry.Various mining companies have CSR programs focusing on preserving and protecting the environment.Companies like Apex Mining Co., Inc. and the Philex Mining Corporation take care of the surrounding environment where they operate. In addition to fully complying with the government’s environmental rules and regulations, mining companies also partake in Tree Planting and Reforestation Projects. These mining companies also conduct regular monitoring and maintenance on its tailings embankment facility in accordance with the government’s standards and to ensure that it has no adverse effects on nearby communities or any local body of water. 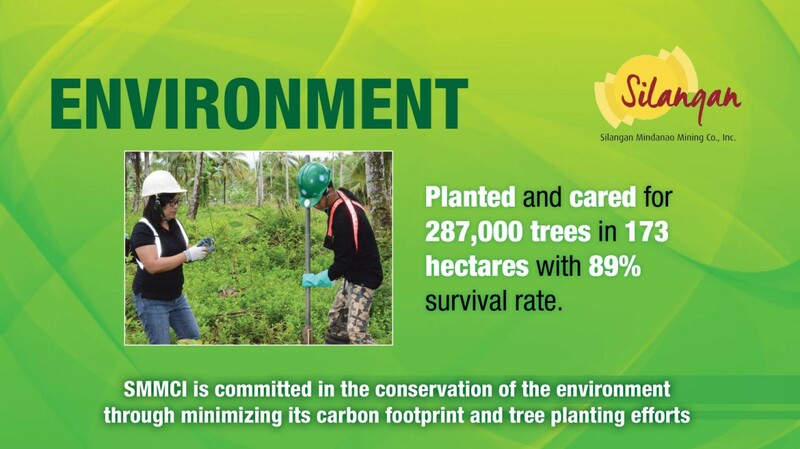 Philex Mining also regularly monitors the air and water quality of areas they operate in to ensure that they are doing the least amount of harm possible to the environment.The Philex Mining Corporation, in particular, have reforested more than 2,800 hectares of the Padcal Mine with some eight million trees with a survival rate of 90%. They also have the Bulawan Project, where they were able to reforest 26.42 hectares with total dispersal of 23,811 Mangium seedlings. They aim to minimize their company’s adverse environmental impact, to comply with the appropriate legislations and requirements, and to promote environmental awareness.Furthermore, Filminera Resources Corp. and Phil Gold Processing & Refining Corp are both part of the Masbate Gold Project (MGP), which helped the town of Aroroy, Masbate grow into a socio-economically successful town. The MGP created over 1,600 jobs and embarked on a mangrove reforestation project in eight coastal barangays of Aroroy town with the help of the locals.Nickel Asia Corporation, the Philippines’ largest producer of lateritic nickel ore and one of the largest mining corporations in the world, have an Environmental Protection and Enhancement Program (EPEP) for every mining site they own and use.The EPEPs goals include reforestation and rehabilitation of mine disturbed areas, construction and/or maintenance of environmental facilities, solid and hazardous waste management, air and water quality monitoring and preservation of downstream water quality. Plenty of other mining companies have similar projects, helping build communities and rebuild natural sectors in and around where they operate. Responsible mining might as well be the hottest trend in the mining industry and is looking to continue to be the standard throughout the country. MANILA, Philippines — The Department of Environment and Natural Resources (DENR) is studying alternative ways of extracting minerals aside from the open pit method. “The study is ongoing. We hope to finish it as soon as possible, probably in the next six months,” Environment Undersecretary Jonas Leones told The STAR. “Right now, open pit is the only method to extract minerals. But we need to look for options and possible substitutes. It may be costly, but we need an alternative,” he said. The DENR will present to the stakeholders the results of the study once it has been completed. There are three hanging open pit mining projects in the country that could potentially give P303 billion in national revenue and an additional P40.4 billion in local government revenue. These projects include the Tampakan mine in South Cotabato, King-King in Compostela Valley and Silangan mine in Surigao del Norte. 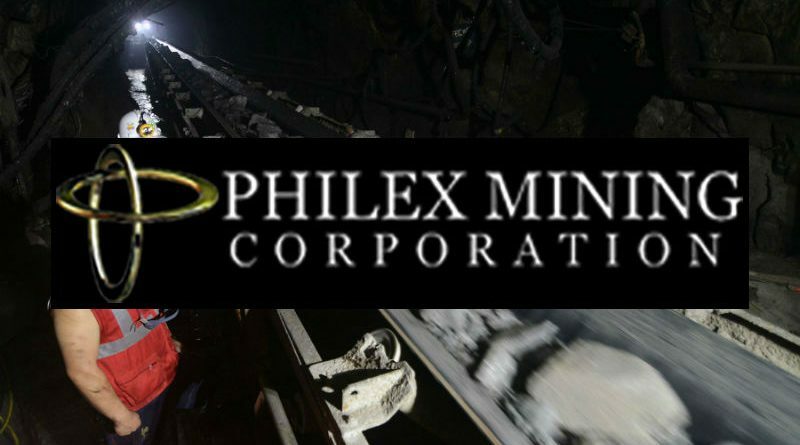 The Silangan mine of Philex Mining Corp. is already looking at the possibility of shifting to underground mining, while the Tampakan project is expected to yield P142 billion in combined national and local government revenues. Silangan, on the other hand, will give the government P140.4 billion in revenues. King-King, on the other hand, is expected to turn in P61 billion in revenues with a capital investment of over $2 billion. The ban on open-pit mining was first ordered by former environment chief Gina Lopez in April 2017, shortly before she got removed from her post. In October 2017, the interagency Mining Industry Coordinating Council (MICC) recommended the lifting of the open pit ban. A month later, however, Duterte rejected the Council’s recommendation and ordered mining companies to shape up. Open-pit mining remains to be an internationally accepted method for mining. TUBA, Benguet– Philex Mining Corporation deposited some P60 million which is part of the P137 million that will be spent by the company for the implementation of its Final Mine Rehabilitation and Decommissioning Plan (FMRDP) once it ends mine life by 2022. Philex President and Chief Executive Officer Engr. Eulalio B. Austin, Jr. said that the company is required under existing laws, rules and regulations to deposit the required amount for its FMRDP within a 5-year period until the amount will be fully paid when it stops operation by the projected mine life. “We remain committed in complying with existing laws, rules and regulations governing the end of mine life. We want to make sure that we will be able to leave a legacy in the country’s mining industry once we will end mine life in the next four years,” Austin stressed. 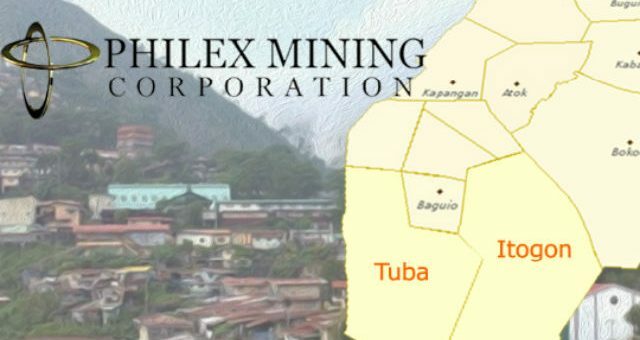 The Philex official claimed that while it has been projected that mine life will end by 2022, the company is including in its current operating cost the partial rehabilitation of its working areas that could help speed up the proposed mine rehabilitation and decommissioning once its operations will come to a full stop. 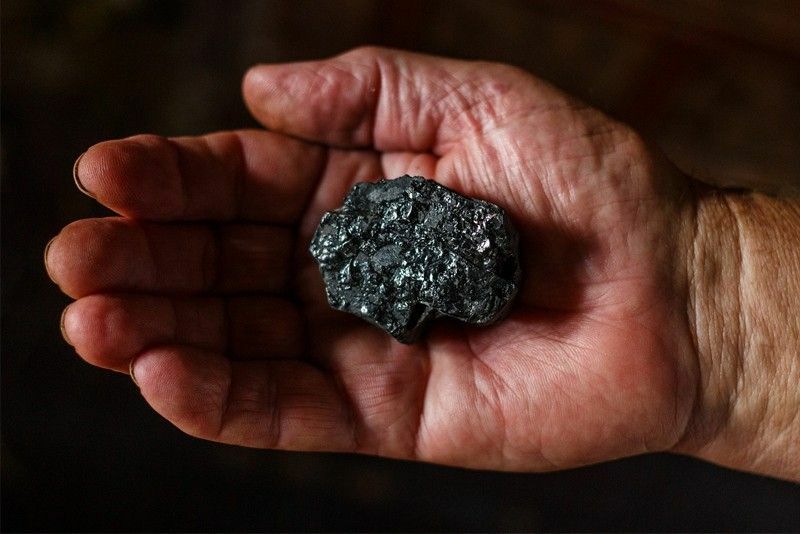 According to him, the mine life is still dependent on the prevailing world metal prices that is why Philex’s mine life could either be cut short if world metal prices will drastically drop and the company will not be able to combat the same with significantly reduced operating cost. On the other hand, he explained that if world metal prices will go up, then all its low grade deposits will be useful and will have significant value that could add up to the increase in its projected income to sustain the mine life until it will end up. Under the provisions of the Philippine Mining Act of 1995 or Republic Act (RA) 7942, companies are mandated to submit to the national government a FRMDP 5 years before the projected end of their mine life while the same will also be required to deposit the amount that will be spent by the companies during the duration of the 5-year period to ensure the speedy implementation of rehabilitation works in the mined out areas. Austin admitted that the requirement for mining companies to submit an approved rehabilitation and decommissioning plan is to address the sins of the past wherein companies simply allegedly abandoned their mined out areas without undertaking any rehabilitation that will help in restoring the mined out areas close to their original state. He added that Philex as a responsible miner, it was able to comply with the said requirement after a series of consultations with the representatives of concerned government agencies and the local government that is why they were also able to deposit part of the required funds to bankroll the mine rehabilitation plan and that the company will complete the payment of the computed funds annually until the same will be completed. 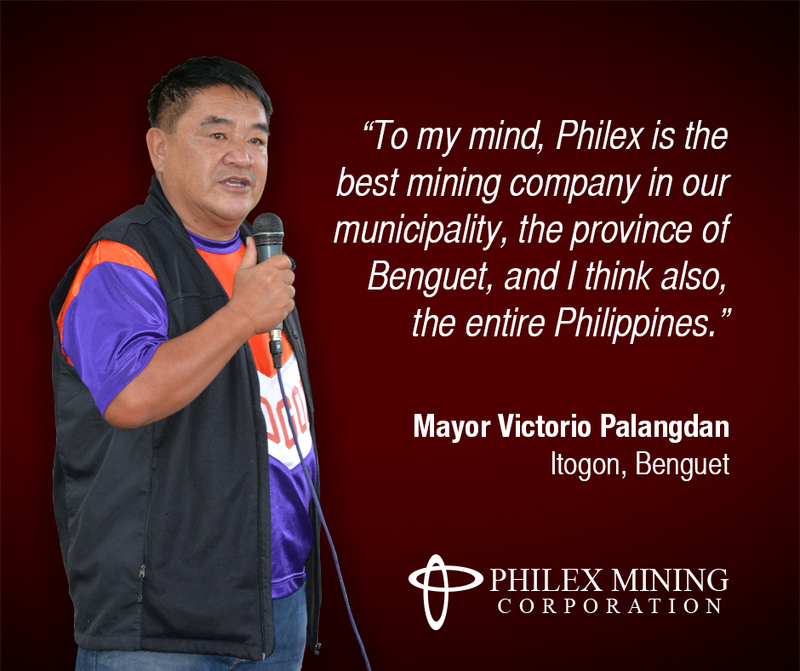 TUBA, Benguet– Philex Mining Corporation continues to strive for excellence in responsible mining as it is now setting its sights in complying with the prescribed international standards on social responsibility as an aided feather on its cap even if its projected mine life is just around the corner. Philex legal and human resource management division head and official spokesperson of Padcal mine lawyer Eduardo M. Aratas revealed that while the international standards on social responsibility is still on its initial stage of being crafted, the company is now working towards being able to comply with the stringent rules and regulations so that it could become the first mining company to be issued the coveted recognition once the International Standards Organization (ISO) decides to make it part of the standards certification that it will issue in the coming two years. “Philex always wants to be a full step ahead of the others in our compliance to the international standards of responsible mining. Social responsibility is one of our strong points that we have to continue working on with the indigenous peoples and our host and neighboring communities that is why we already started working on our compliance to the initially prescribed standards,’Aratas stressed. The proposed ISO 2600 is the international standard developed to help organizations effectively assist and address social responsibilities that are relevant and significant to their mission and vision; operations and processes, customers, employees, communities and other stakeholders; and environmental impact. Earlier, Philex was able to acquire the Integrated Management System (IMS) certification for its occupational safety and health and quality management systems. The IMS integrates all of an organization’s systems and processes into one complete framework, enabling an organization to work as a single unit with unified objectives. Organizations often focus on management systems individually, often in silos and sometimes in conflict. Aratas disclosed that based on the requirements of the Department of Environment and Natural Resources – Mines and Geosciences Bureau (DENR-MGB), the only requirements for mining companies is to be able to secure the ISO-14001 certification for their quality management systems but Philex was able to overshoot the requirement after having been issued the IMS certification. According to him, the company wants to be ready for the issuance of the ISO 2600 certification that is why it is preparing for its initial compliance to the prescribed rules and regulations. House Bill 8400 seeks to rationalize and institute a single fiscal regime applicable to all mineral agreements. Sen. Sonny Angara, Chairman of the Senate Committee on Ways and Means, recently issued a Notice of Public Hearing on January 29 to discuss the Fiscal Regime and Revenue Sharing Arrangement for the Mining Industry. This comes after House Bill 8400, which was approved on third reading late last year in the Lower House, was transmitted to the Senate for deliberations. It seems that the industry and government may soon find a compromise that can would release billions of dollars in Foreign Direct Investments that have been stuck in a policy gridlock for decades. House Bill 8400 seeks to rationalize and institute a single fiscal regime applicable to all mineral agreements. The House version imposes a range of royalties applied to income from mining operations. This includes a 1-5 percent margin-based royalty tax on large-scale mines outside of mineral reservations, depending on operation margins, a 1-10 percent windfall profits tax on income from mining operations, 3 percent royalty tax on gross output on mines inside mineral reservations, 4 percent excise tax on gross output, and ring-fencing and maximum debt to equity ratio. Having gone through a long process of consultation and debates, it has finally resulted in a draft legislation feasible to the mining industry and a promising development in the mining sector. The bill when passed into law would effectively lift Executive Order 79, issued in 2012, which imposed a moratorium on the approval of new mining permits. In 2016, potential large-scale mining projects could have amounted to US$ 23 billion in foreign direct investments (FDI)—a quick estimate of the direct value of the mineral resources and does not yet consider the multiplier effect to the local and national economy when these projects are in full operation. Among the huge FDIs that have been put on hold is the USD 5.9-billion Tampakan project in South Cotabato. The copper-gold deposit is said to be one of the largest undeveloped deposits in the world, with 2.94 billion tonnes of ore with 0.6 percent copper and some 18 million ounces of gold. There is also Mindoro Nickel’s US$ 2.5-billion project that reportedly has some 2.9 million tonnes or 6.6 billion pounds of nickel. 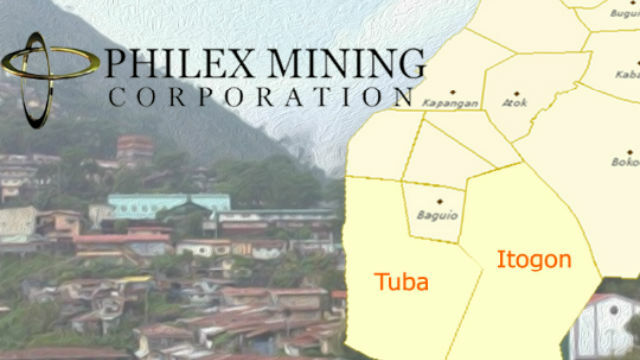 Philex Mining’s Silangan project in Surigao del Norte projects an estimate of 4.94 billion pounds of copper and 9 million ounces of gold, valued at P752 billion and P605 billion, respectively. Other pending multi-billion-dollar investments include Nadecor’s Kingking project in Davao del Norte, Davao Oriental’s Asiaticus project, Lepanto Mining’s FSE project in Benguet, and Masbate’s Philsaga Mining contract, among others. Because of these suspensions, once contributing 5 percent to the national economy, mining is now down to 1 percent. EO 79 had therefore been a policy wall, having done more harm than good, and continues to frustrate much-needed quality investments in the mining industry. On the bright side, government is beginning to review existing policies, aside from HB 8400, on open pit mining, rehabilitation fund, and mineral taxation, among others, and improve the wider policy uncertainty in the country. The inter-agency Mining Industry Coordinating Council itself has also recommended the lifting of the open pit ban in the country once mining laws, rules, and regulations are strictly enforced. The Department of Environment and Natural Resources, with Secretary Roy Cimatu in the helm, is open to allowing new mining projects in the country and continuously consults and collaborates with industry experts to thoroughly understand the complex technical, social, and environmental issues in the sector. After all, an industry with this huge FDI potential and complex will be governed by scientific and balanced policy backed by technical and scientific inputs and not misguidedly influenced by an ideology. Of course, government also needs to raise the bar by strengthening monitoring and compliance so all of these efforts of revitalizing the industry don’t go down the drain. UP School of Economics professor Ramon Clarete argued that attracting high-quality investments is the crucial first step in building and sustaining a competitive mining sector. These quality investments come from companies that have the technical know-how and capital necessary to harness these resources in a way that is cost-efficient and integrates environmental protection. To wit, there are mining corporations in the forefront of self-regulation, strict compliance, environmental stewardship, and voluntarily submits to international benchmarks. Philex Mining Corporation’s Silangan project demonstrates such strict compliance in addressing concerns about open pit mining and adheres to the principles of responsible mining—technical feasibility, environmentally compliant, socially acceptable and financially viable. 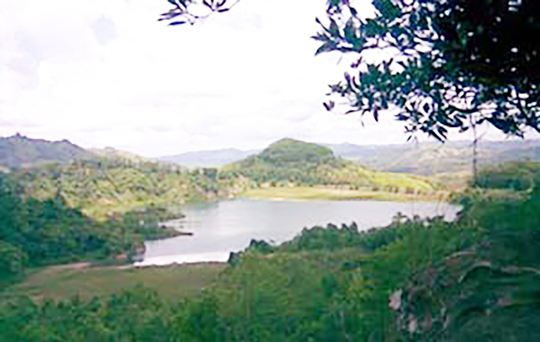 There are also other models of successful rehabilitation, such as the wild duck sanctuary of what was the tailings pond of Philex’s Bulawan Mine; Sitio Lalab,also by Philex, which has become greener than ever before as a result of the rehabilitation of Sibutan Gold mine in Zamboanga del Norte; and Nickel Asia’s nickel mines in Taganito, Surigao del Norte and Bataraza, Palawan, which even former Secretary Gina Lopez commended as benchmarks for mining. All of these show that open pit mines can be safely operated, rehabilitated and transformed to benefit local communities for generations. The Philippine mineral profile is globally recognized for billions worth of untapped potential. If done right, energizing the mining sector can mean multi-billion dollars’ worth of investments in many communities that had remained poor and isolated for decades. What seemed like a long shot years ago, responsible mining can be instrumental in building the foundations of sustainable economic growth. Let’s just hope that government sees this through and gear us up for generations to come. Vanessa Pepino is a non-resident fellow of think tank Stratbase ADR Institute, a partner of Philstar.com.